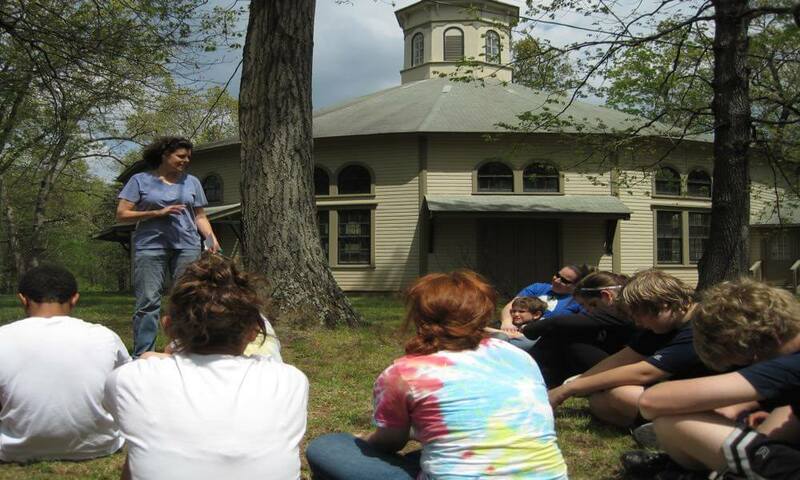 Your group will fall in love with our retreat center! Come explore all that Deer Park has to offer as a group rental facility. Deer Park is a camp and retreat center that is perfect for your next big event, with facilities for up to 180 guests. Located in beautiful Bucks County, Pennsylvania, Deer Park has hosted churches and schools, youth and spiritual groups, weddings and banquets for over 100 years. Deer Park is Natural Sanctuary – seventy-six acres of sacred space amongst tall oaks, where people come to experience community and share joy, faith, hope, love and peace. All are welcome! Your group will fall in love with Deer Park and have time together that is fun, meaningful and memorable. What more would you like to learn about Deer Park? Our customers come to experience something special, and leave changed for good. Learn More about the wide variety of groups we serve at Deer Park. Our camp offers classic camp cabins, lodges and dining halls, with four large meeting rooms for up to 180 people. Learn More about our indoor and outdoor facilities. Our Calendar is already filling up for next season, but we still have space available. Learn More about our availability and Rental Rates. We hold three retreats every year, all of them at Deer Park. For over twenty years, Deer Park has been our spiritual home in the woods. Words cannot describe the beauty, the peace, the good spirit of this place. We felt it as soon as we arrived. We felt it even stronger when it came time to leave. Thank you for making our wedding absolutely perfect. We look at our pictures and can’t believe this dream came true. I hold workshops all over the country, but always look forward to coming to Deer Park. The natural setting really sets the mood of the entire experience. Deer Park is a camp and retreat center for groups of up to 180 guests. Deer Park is a campground for rent — an event venue for churches, schools, businesses, non-profits, seminars, festivals, workshops and more. We are also a favorite spot for outdoor weddings and receptions in the spring and fall. As a group rental facility, we offer four large meeting rooms, dining hall, lodge, 22 cabins, swimming pool and 76 acres of nature. Its all yours and yours alone when your group rents our facility. Deer Park is located in New Hope, Pennsylvania, in beautiful Bucks County, about halfway between Philadelphia and New York City. That means we are within about an hour drive of Philadelphia, Central New Jersey and New York City. Your group will absolutely fall in love with Deer Park!